Google PageRank is named after Larry Page, co-founder of Google with Sergey Brin. It was developed while they were at Stanford University, one of their research projects that ultimately led to Google in 1998, at a time when PageRank and SEO had yet to become known to internet marketers. It is only coincidence that it gives a metric to the link popularity of web ‘pages’. BrinRank does not have the same SEO appeal! At one time there was the belief that Google PageRank was all-important in gaining a high search engine ranking, or listing position in Google’s SERPs. However, Google has never claimed this, continually stressing that PR is just one of over 200 other factors taken into account in the ranking algorithm. As with all other such factors, Google has never revealed the weighting being given to PageRank in such calculations, although it can be reasonably assumed that it is fairly high. Here are some aspects of PR that might help you make up your own mind. 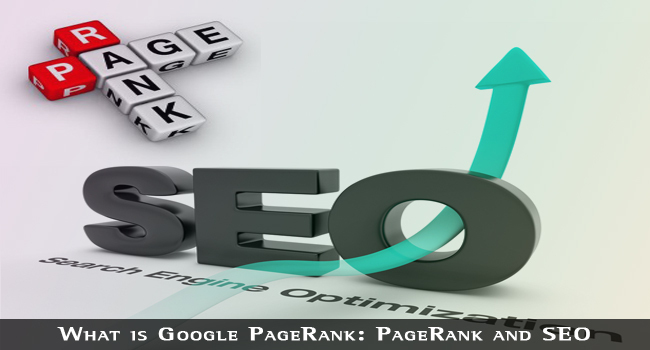 PageRank is a measure of the popularity of web page (not websites) in terms of the number of links leading to that page from other web pages published online, and the quality of such links in terms of their own PageRank. In other words, if the URL of your web page is published on another web page, your page receives a proportion of the PageRank of that page according to a formula that only Google knows. What is known is that you receive only a proportion of the other pages PageRank, known colloquially as ‘linking juice’ or ‘votes,’ according to how many other links are published on that page. The more other pages receiving linking juice from a page, the less the value such ‘juice’ has. Google has also hinted that the relevance of such pages to your own web page content might also be a factor, but this is not certain. Internal PageRank is the PR each page gains from internal links. Each page starts with a PR of 1.0, and you can arrange your linking structure to offer more PR to one page than another. Thus, you can maximum your home page PR by linking every internal page to it, but allowing only one more link from each page to the next. Update: Google has confirmed that it is removing Toolbar PageRank. So, now there is no any tool that will display you your site’s PageRank. The PageRank toolbar gives you a graphic indication of your PageRank on a scale of 0-10. The higher the PR, the higher the number. This green bar is not your genuine Google PageRank, but an analogue representation of it. Nobody but Google knows how many links are needed to move from one score to another, though it is believed to rise exponentially. That is because it is easier to get from 1-3 than from 3-6 for example. Thus, if it takes 10 links to get a PR of 1, it may take 100 to get to 2, 1,000 to get to 3 and so on. Keep in mind that is not the number of links that count, but your share of the PR of these links in relation to all the other links on the same page. The PageRank actually used by Google algorithms is not what you actually see: it has been publicly stated that the metric Google uses in its ranking algorithm is a floating point figure. It is possible that might range from 1 to the thousands, and that your green bar is merely a visual representation relative to the highest ranked web page. Only a selected few at Google know the answer. The toolbar figure is updated every 3-4 months, while Google itself uses the actual figure when rankings are calculated. To repeat: your ‘toolbar PageRank’ is no more than an indication of your PR relative to other web pages indexed by Google. It is not the absolute figure used by Google’s algorithms. PageRank is not a measure of the quality of a web page, only how many other pages are linked to it. This could be through the high quality of your page or because of ‘arranged’ links such as reciprocal links or paid adverts. Google has clamped down on paid links, and your site could suffer severely if it discovers you are charging for links on your web pages. Article directories and blogs are acceptable linking publications to Google. Matt Cutts, the head of web spam at Google, says that you should not focus on PageRank to improve your ranking, but should spend time on all the aspects of your website, particularly in offering good, relevant and well written content. The days are over when you could get a high listing position on the basis of links alone. He goes on to explain that Google has sharpened up on the various black hat tricks that have been used in the past, and what worked last year might not work this year. The Panda and Penguin algorithm updates are just the start in an attempt to clean up the listings and make web pages genuinely earn their rankings. However, Google PageRank is a factor, and should not be ignored, but you should make sure that your links are not all from the same types of site and that your anchor text also varies. Those that ignore this advice have already suffered significantly under Panda and Penguin. SEE ALSO: Bulk Google PageRank Checker Tool Using Google Docs. 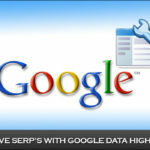 Mozilla has introduced a toolbar offering a metric very similar to PageRank known as mozRank. It is not quite the same as PageRank, because the exclusive license to use PR has been given to Google by Stanford University who owns the patent. However, it does indicate a linking metric in the same way on the toolbar, ranging from 1 to 10.
mozRank is ostensibly calculated in a similar way to Google PageRank, and any differences are not readily apparent. However, it is not believed to be recognized by Google, so you should focus on improving your PR, when your MR will likely also approve. Although the comparisons are not exactly the same, with MR generally slightly below PR, they tend to be arranged in the same order: a high PR also receives a high MR and vice versa. If you take care of your PageRank, Mozrank will follow. Since over 80% of people prefer to use Google*, PR is currently the more important of the two. SEE ALSO: MozRank Vs Google PageRank. Many are talking about ‘authority rank’ and even offering software to improve it for you. Beware of this, because Google has cottoned on to software-generate links and will also be able to detect authority obtained in similar ways. 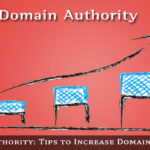 That said, what is ‘authority’ and how does it affect your ranking? It is no secret that as far back as 2009, Google has been looking at social networks sites and other means of expanding the way it lists web pages. One of these ways is by taking the authority of the author of a web page into consideration. The reputation of the author of web content can be established from other verified content written by the same author. Matt Cutts has made it clear that PageRank will not be replaced by Authority Rank, which will compliment PR but not necessarily become more important. Your average PageRank is an indication of the authority of your website and will continue to be so, so do not ignore it! In fact, there will be an interaction between PR and AR, one supplementing the other. It is important to use Google+ to promote your website, and you can indicate your social media authority by integrating your Google+ profile page and your website. However, you must also make posts, and comment on and reply to blog posts, and help and encourage your followers to actively become engaged with you. Try to encourage Google +1s on your web pages – there are few doubts now that Google will give Authority ranking to web pages with many +1s. The same is true of shares in Google+ – it is highly likely that these two Google social interaction buttons will improve your authority rank. Retweets are also believed to be used by Google as an indication of the authority of your profile. 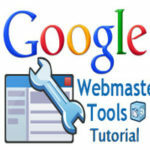 SEE ALSO: Google Webmaster Tools: the Complete Guide. There is a great deal of confusion about the nofollow and dofollow attributes appertaining to links. Fundamentally, the nofollow attribute was devised by Google web spam guru Matt Cutts to tackle web spam. What is does is to direct algorithms not to pass on PageRank to the target site. Google will actually follow the link, but link juice will not be awarded. It is never good to allow all links on a page to be followed, particularly adverts and links to pages not directly connected with the content on your web page. Google could regard them as spam if you are linking to sites unconnected directly with yours. The links will still be followed, since nofollow does not mean what it appears to mean, and that is where the confusion arises. Backlinks to your sites from directories or websites using the nofollow attribute will be worthless to you in terms of Google PageRank but could still result in visits to the target page. PageRank will not be superseded by Authority rank, but the latter will likely become more influential in your ranking position. You should use Google+ and the +1 button on your web pages, and promote social interaction between your followers. Try to encourage retweeting of your tweets, and promote your profile as far as possible. It will take time, as it does with PageRank, but Authority rank will become increasingly more important. It should be expected that Google will make more use of social networking an online social interaction in ranking your web pages. It does not mean the end of traditional websites, although blogs may have the edge in the future unless traditional sites offer more resource for interaction by visitors to become website followers rather than occasional visitors.